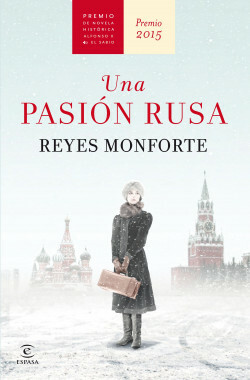 A Russian Passion tells the gripping tale of the life of a fascinating but little known woman: the Spanish singer Lina Codina (Madrid, 1897 – London, 1989), who was the muse and wife of the great Russian composer Sergei Prokofiev. Their first years of marriage took place in avant garde Paris, where the couple formed part of an exclusive circle of artists and intellectuals. However, everything changed when Prokofiev decided to go back to the Soviet Union. Although they were received with the highest honours, over time they started to suffer from living under the insidious Stalinist regime and the deterioration of their relationship. At the end of the Second World War, Lina was falsely accused and sent to the gulag, where she stayed until the death of Stalin. Experiencing highs and deep lows, Lina’s life was an epic marked by love, tragedy and extraordinary resilience. Winner of the Premio de Novela Histórica Alfonso X El Sabio. Overflowing with talent, strength and charisma, Lina Prokofiev is an incredible character who, with this book, is finally getting the recognition she deserves. An exceptional historical fresco based on solid research and a deep knowledge of the depths of the human soul.